Every copy comes with a small message and signature, and invites for two guests to the next Comma Books event. A restless young woman revisits the city where she was born, and encounters a man that she has known for years. The pair becomes involved in a brutally beautiful affair that inevitably binds them within the concrete of the city. This is a story about a space that remains between him and her, a city that exists between the real and the imaginary, a love that lives between now and forever. “When the monsoon came, the tigers were left in the heat, and somehow, in that stoic, quiet way of theirs, they slipped out into the city. They roamed the streets, searching, maybe, for an answer or a cause for this unclear war they had with the weather. 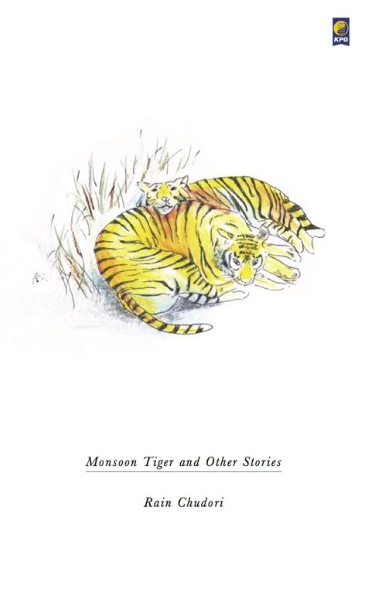 Monsoon Tiger and Other Stories is an anthology about love, romance, intimacy, and loneliness. The location of these stories is unclear, no city names, no landmarks, but it is with this very purpose that the author transposes us into the lives of the characters. Told chronologically about various girls and women, each in different stages of their lives, the author creates a thread through their experiences of having loved and having lost.